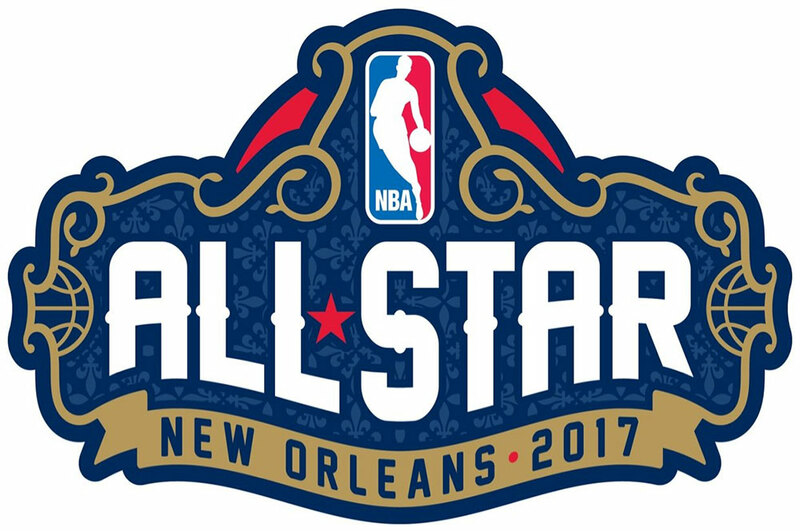 LOCAL National Basketball Association (NBA) aficionados wanting to witness the about-to-happen 2017 NBA All-Star Weekend will be able to do so on free TV with ABS-CBN Channel 2 and S+A set to air it every step of the way. Happening at the Smoothie King Center in New Orleans, home of the Pelicans team in The Association, ABS-CBN’s local broadcasting of the NBA Midseason Classic will see TJ Manotoc and Boom Gonzalez bring the festivities direct from the United States. 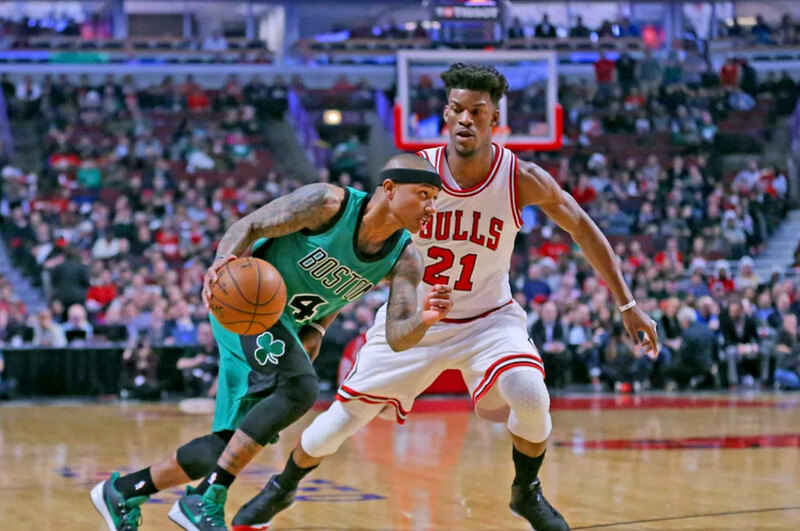 After a welcome-home win against the Toronto Raptors on Tuesday, Chicago closed out the pre-All Star break NBA season with a 104-103 victory over the Boston Celtics. The game featured a battle between two of the East’s biggest stars that went down to the wire, and the call that decided the game is one that will spark quite a bit of controversey for those wary of “Star calls” and NBA officiating in the closing seconds of games. Andrew Wiggins and some stout second half defense leads the way for the Wolves in Denver. 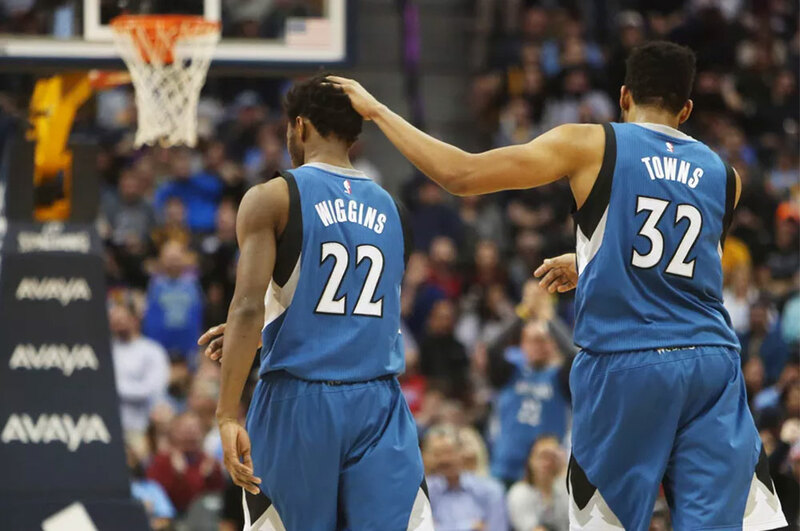 That sound you heard was a gasp of breath from the Timberwolves’ playoff hopes, as they stayed (barely) alive with a big win over the Denver Nuggets in the final game before the All-Star break. It was an impressive win under the circumstances. The second night of a back to back after expending a ton of effort in a losing cause last night against the Cavaliers. At altitude in Denver. And yet the Wolves played a strong second half, never trailing after taking a two point lead into halftime. 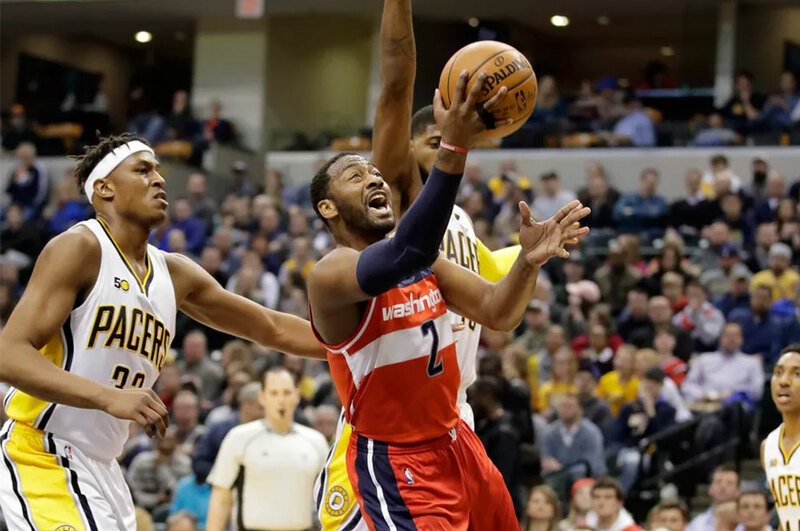 The Washington Wizards avoided a pre All-Star break lull, defeating the Indiana Pacers 111-98 for their 34th win on the season. Markieff Morris and Otto Porter carried most of the teams scoring throughout the game, finishing with 21 and 25 points respectively. Bradley Beal remained aggressive and put up 19 points of his own, as his backcourt partner and star John Wall dished out 12 assists and scored 20 himself. Marcin Gortat remained consistent, with 12 points, 7 rebounds, and a +14 line. 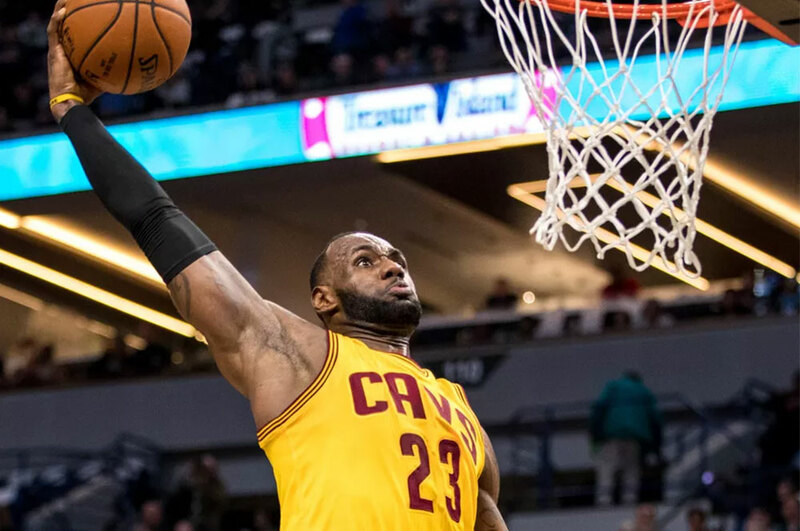 In a game that was relatively close all the way through, the Cavs pulled off a 116-108 victory in their first game since the announcement of Kevin Love’s knee surgery, behind a near triple double from LeBron (25 points, 14 assists, eight rebounds). Channing Frye (21 points, 10 rebounds) and Tristian Thompson (14 points, 11 rebounds) combined to account for Love’s absence, through Thompson’s energy down low and Frye’s perpetual green light to shoot from deep. Andrew Wiggins, who always plays well against the Cavs, had a game-high 41 points, with Townes adding 26 more. After scoring only 47 points in the first half, Golden State goes for 43 points in the third quarter. 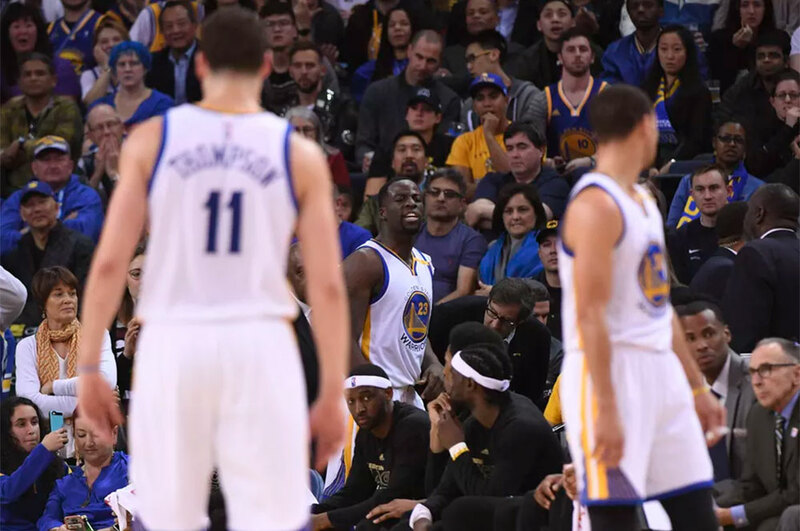 I’m not saying the Golden State Warriors don’t need Draymond Green, but they didn’t need him tonight. Jimmy Butler returned to the court and promptly put on an offensive showcase, even without a working jumper. It happened again. Somehow, some way, it happened yet again. No Dwyane Wade, no Nikola Mirotic, no Paul Zipser, no problem! 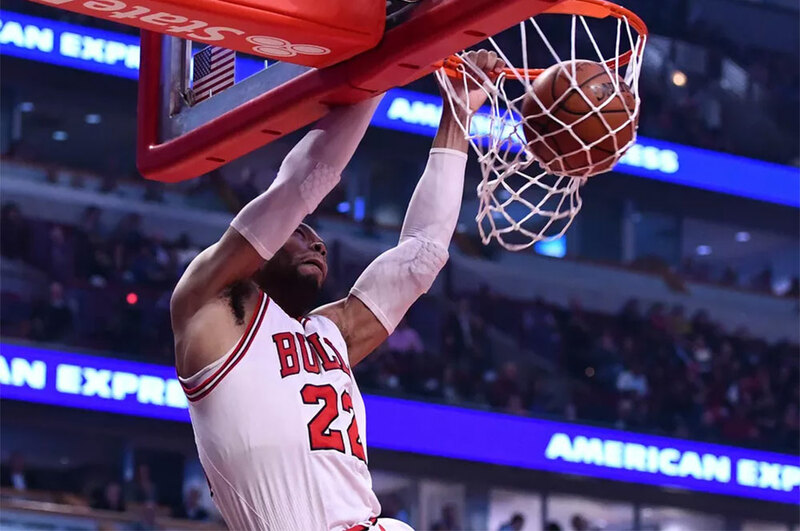 The Chicago Bulls returned to the United Center from their Western Conference road trip this evening and managed to pull off their eleventh straight victory over the Tortrashto Trashtors in a 105-94 victory. 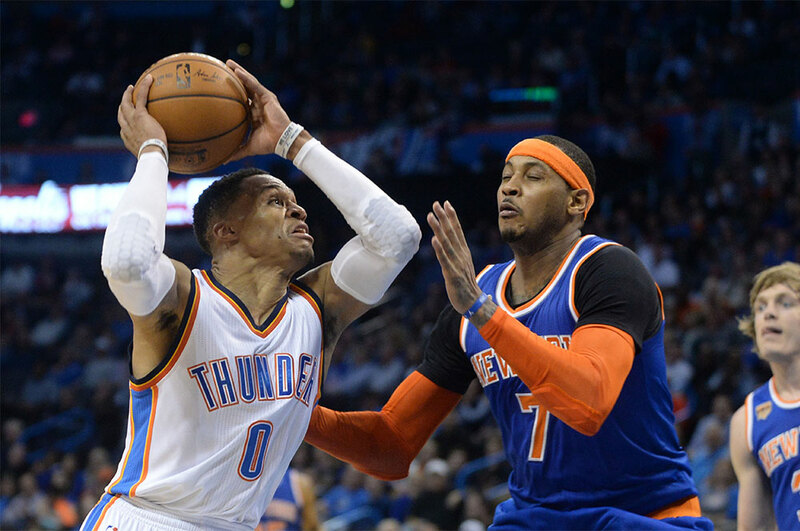 An exultant Russell Westbrook hammered his chest after delivering a zealous one-handed slam to punctuate the Oklahoma City Thunder's 116-105 victory over the visiting New York Knicks. DeMarcus Cousins was way too much for the Lakers to handle and the Kings overcame some hot shooting by Lou Williams to win their fourth in a row. Nothing comes easy for this Kings team. 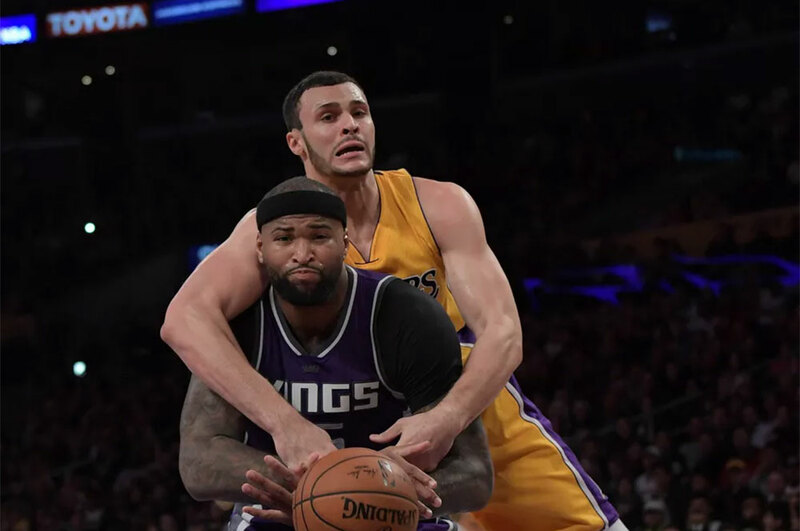 Despite carrying a double-digit lead in the fourth quarter, the Kings yet again managed to have a game go down to the wire. Fortunately for Sacramento, the Lakers had absolutely no answer for DeMarcus Cousins (40 points, 12 rebounds, 8 assists) and Lou Williams’ long three at the buzzer was off, giving the Kings their fourth win in a row.